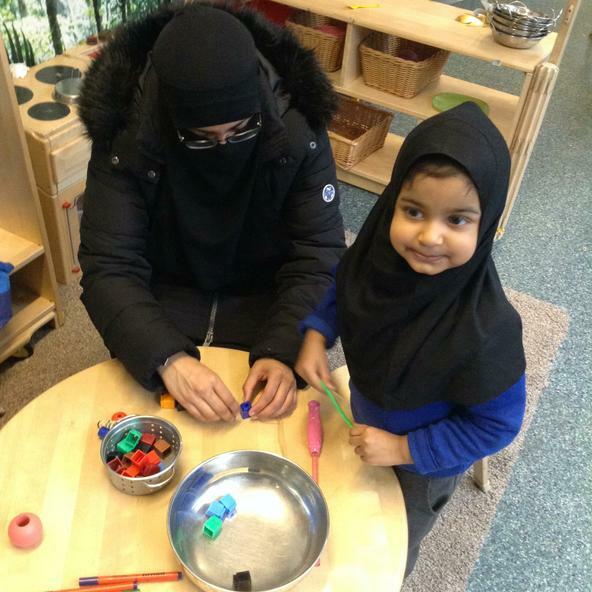 To celebrate Mother's Day we had someone close to us join us in our nursery today. We decorated tasty cakes and gave hand massages as a lovely treat for that someone special. 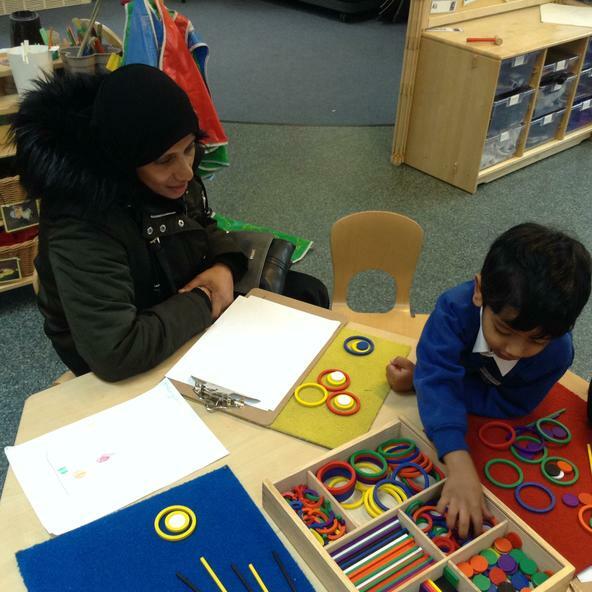 Today we had our families in to visit nursery to share in our learning, as part of our Number Day. 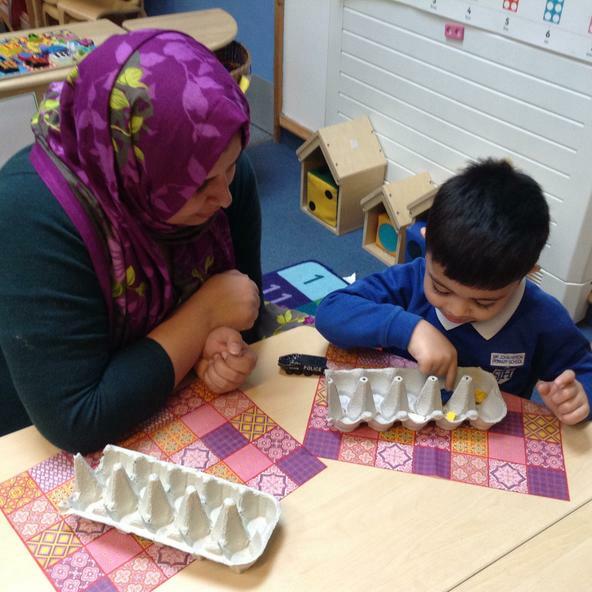 Our teachers had set up lots of different activities for our parents to play along side us and find out how we learn in school. What a lot of fun we had! We loved dressing up as our favourite book characters for World book Day! 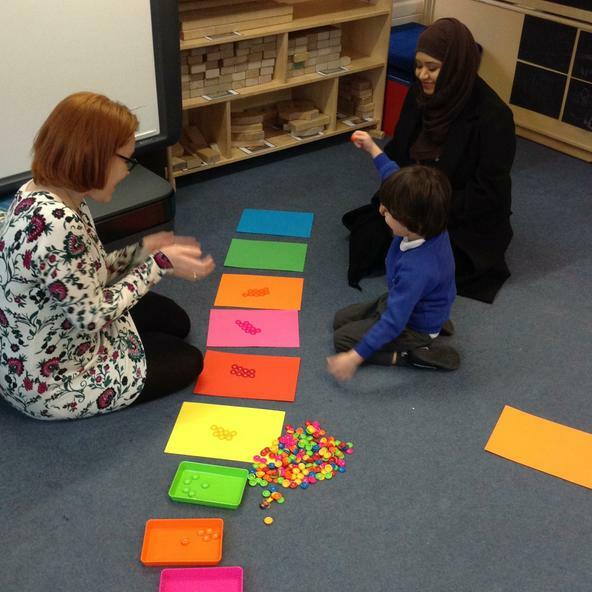 Some of us in nursery are enjoying using the ten frames to show what one more and one less than a number is. 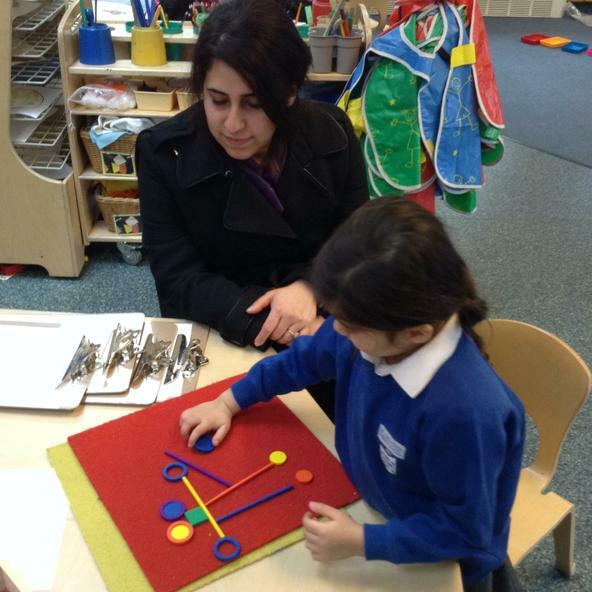 We can count the pegs to make sure that the correct number has been made and then add one more. 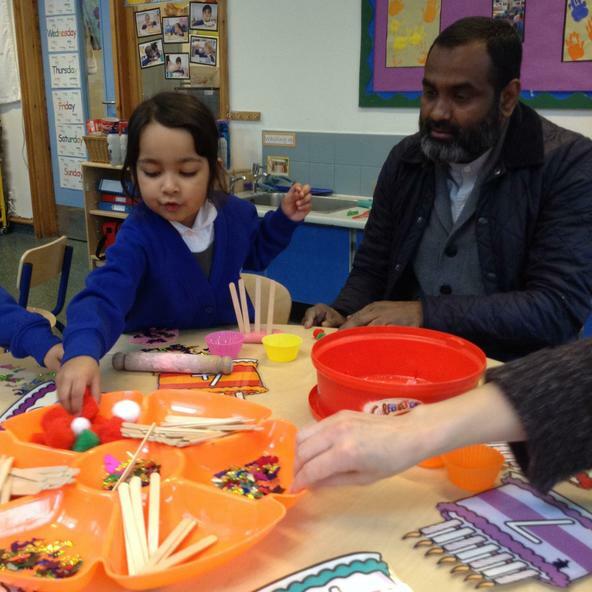 What a fantastic time we had mark making with our parents! 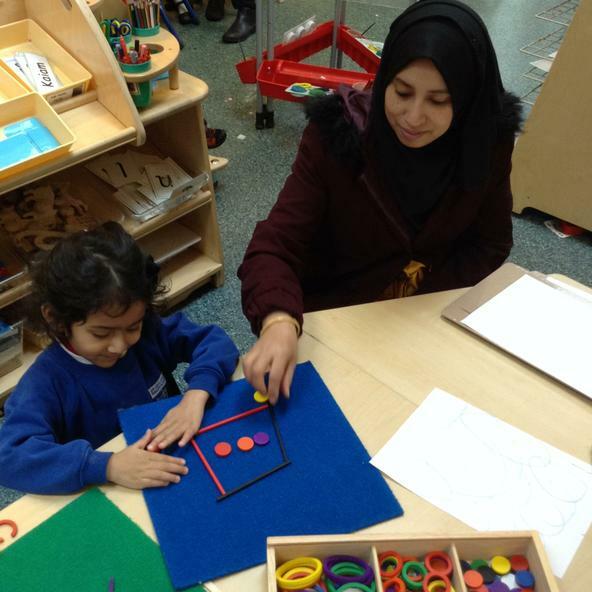 We had our parents into our Nursery to share in our very special mark making event to explore how we begin the journey from mark making to writing. 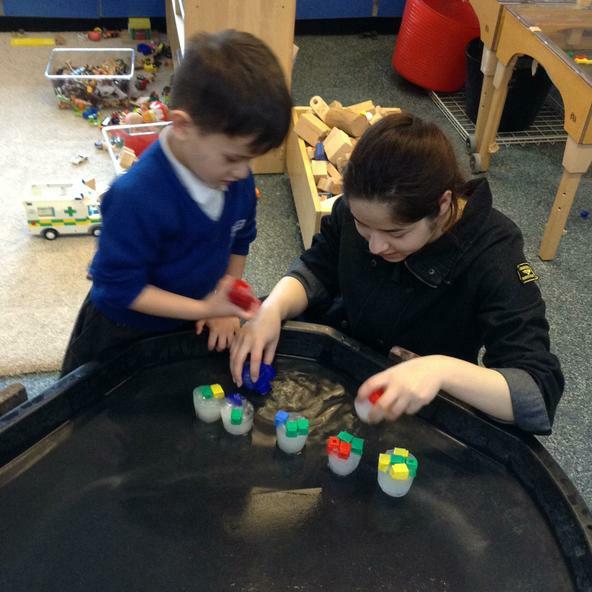 There were a range of activities including playdough to strengthen our hand writing muscles, messy shaving foam to practice lots of different lines and shape patterns. We even came away with our own box of crayons to mark make at home! 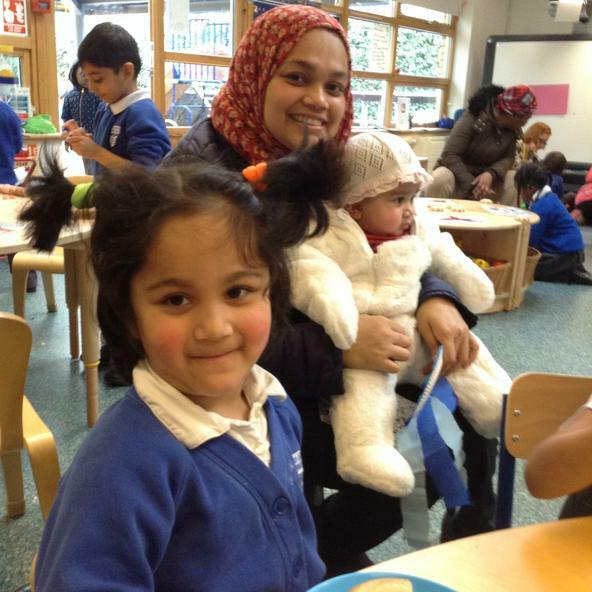 This term has seen Nursery learn about Nursery Rhymes. We have been doing our best to sing a long and remember them as much as possible. 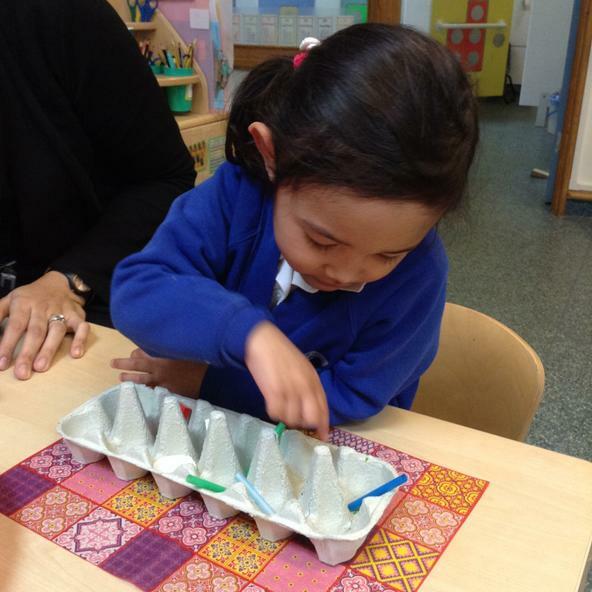 The children have also spent time making Nursery Rhyme related crafts to go on our displays. 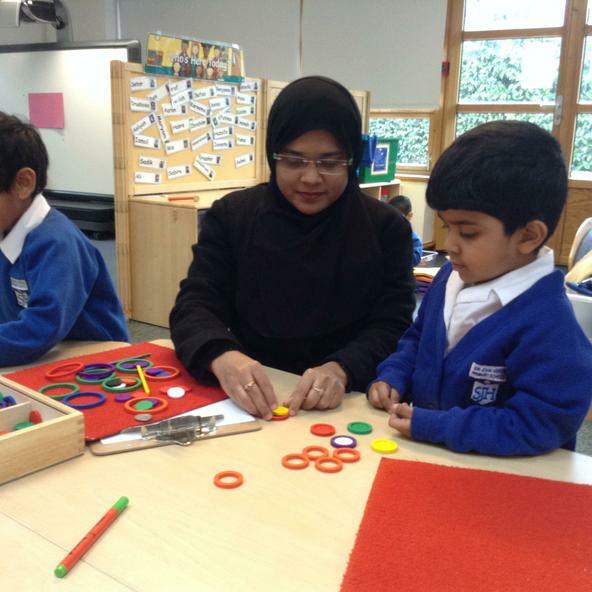 The start of the year has also meant settling children in to Nursery, establishing routines, and making friends. 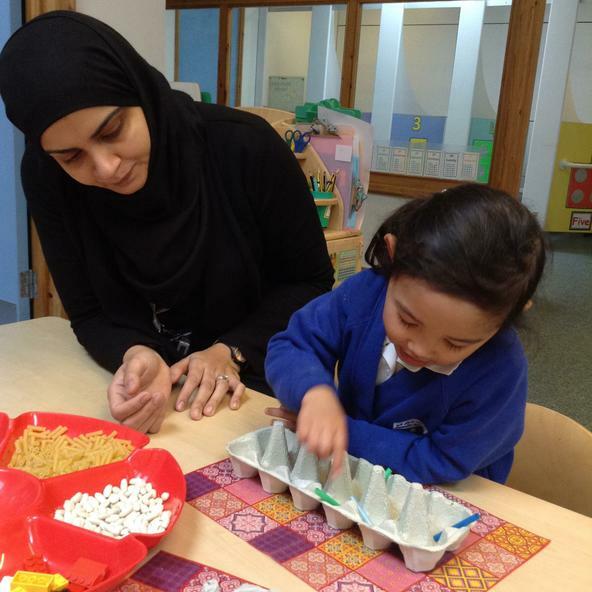 The children have spent time learning each other’s names and learning to play with other people. It has been a fun first few weeks!